The attraction between toddlers and water is legendary but waterplay is also great fun! My grandson and I enjoyed playing with a toy watering can this week. 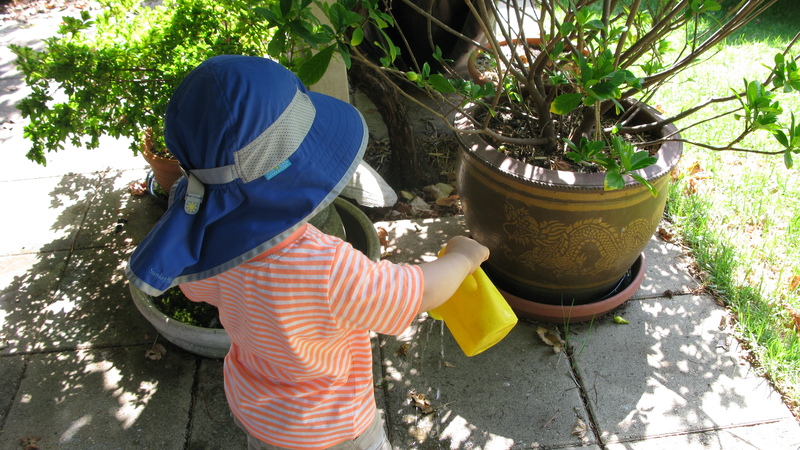 The idea was to water the pot plants but the fascination was watching the water come out the spout. There was not a lot of water involved, in fact dry clothes were not even needed at the end of play and I make sure he wears plastic clogs when playing with water, but the time spent was thoroughly enjoyed by us both. No preparation other than filling the little watering can from my large one and no mess to clean up!